On your first visit I will ask you detailed questions about the problem you have come to see me about. I will also ask questions about your previous medical history and your general health. This helps me build a full picture of you and events that may have influenced your body health. I will examine the area that is problematic. It is also likely that I will want to examine other areas of your muscular/skeletal system. Sometimes these areas might be distant from your source of pain and seemingly unrelated to your problem. For most examination and treatment it is helpful to remove some clothing, sometimes down to underwear. I will always respect your dignity and wishes. If you are not comfortable with any level of undress we can work around this. I suggest wearing clothing that you are happy to be examined in. Well covered underwear or sports clothing is generally appropriate. I may also use some special examination/tests where appropriate to further assess your health. 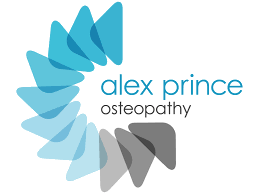 I will aim to give you a very full and complete diagnosis from which we can discuss and formulate a treatment plan. If the diagnosis is unclear or I am concerned about an aspect of your health, I may refer you to your GP or another specialist for further tests. 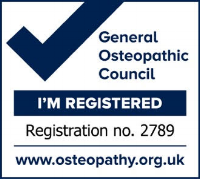 On most initial consultations (and when appropriate) I will then give you some therapeutic Osteopathic treatment to initiate the resolution of your problem. In most cases and where appropriate I will aim to give you advice on how to improve your lifestyle to enable your body to heal and function more efficiently. In addition to this, I will usually recommend specific exercises to help your body heal, or as a preventative action to avoid further problems.